Joining the resident On The Fly truck and the Delle and Campbell's cart at Eighth and H streets on Wednesday was a food vendor I hadn't seen before: Capital Carts. The shiny cart was selling gumbo, chips and a few other things. I'd already eaten lunch so I didn't investigate further. According to the sign, the cart is an employment program of D.C. Central Kitchen, the excellent organization that tackles poverty, homelessness and hunger with a variety of programs. Does anyone know more about this new addition to our street food scene? 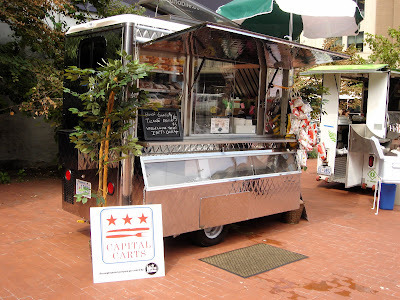 Capital Carts is indeed an employment development project of DC Central Kitchen. 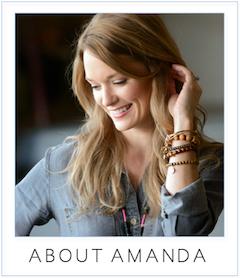 A press release will be finding its way to you soon, Amanda! The formal inauguration of the carts will be on Tuesday, September 23. Get ready for some delicious green gumbo! Pedro and Vinny's reopened on 15th and K last week. Can't wait to go back for my burrito! I've since learned that this trio is dubbed the Lunch Bunch - a concept sponsored by the Downtown BID. More info on the way! Todd: Are you a fan of the goose sauce?